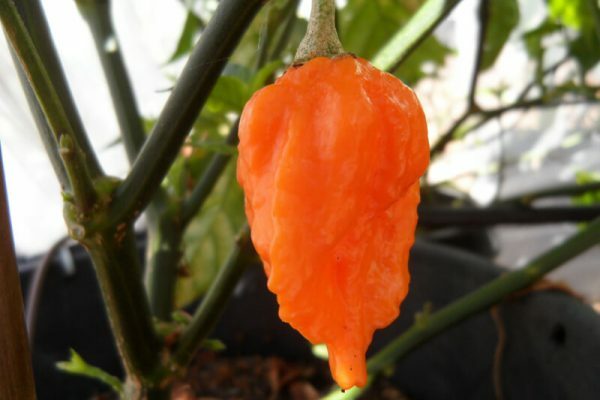 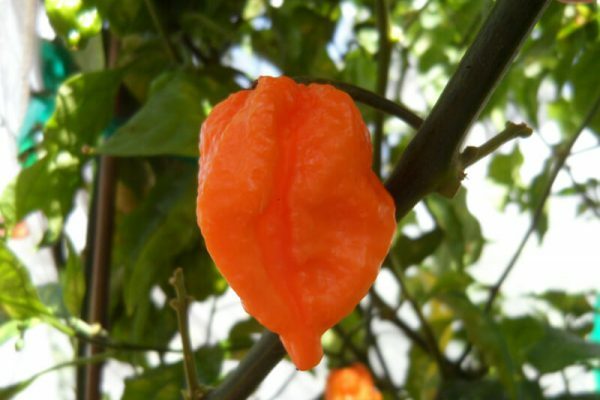 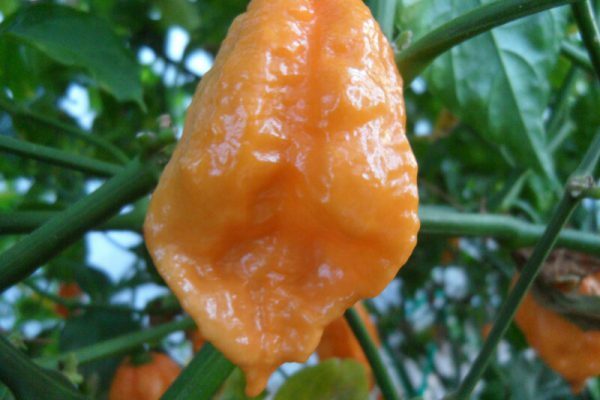 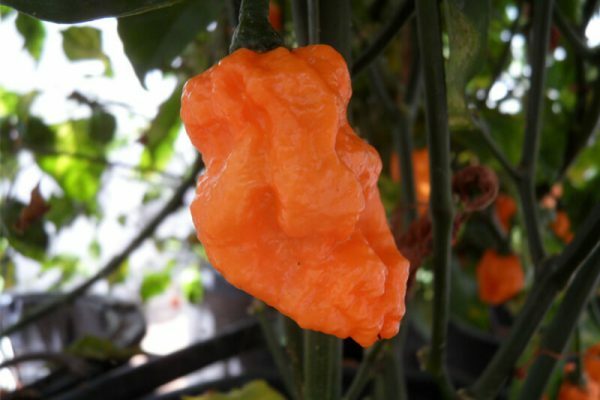 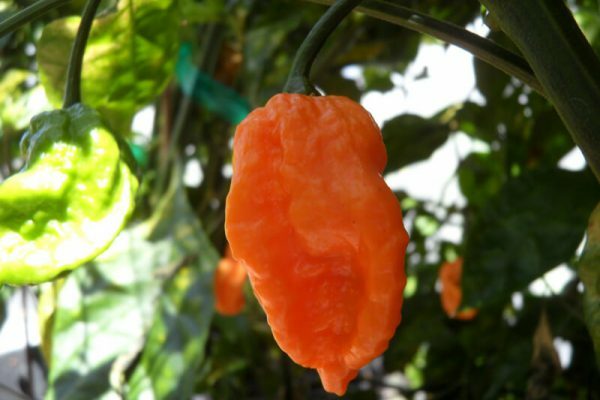 This is an orange variant of the Bih or Bhut Jolokia. 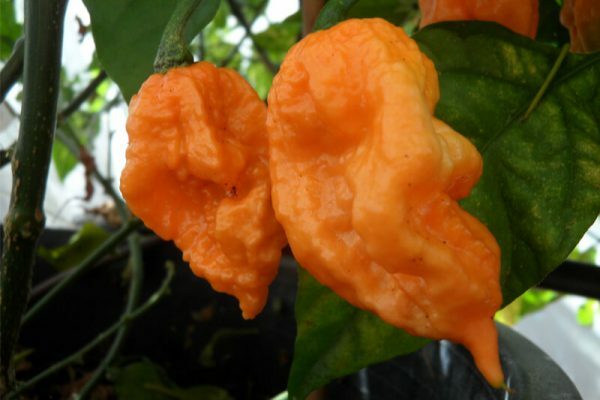 It was discovered in 2009 in Copenhagen, Dennmark. 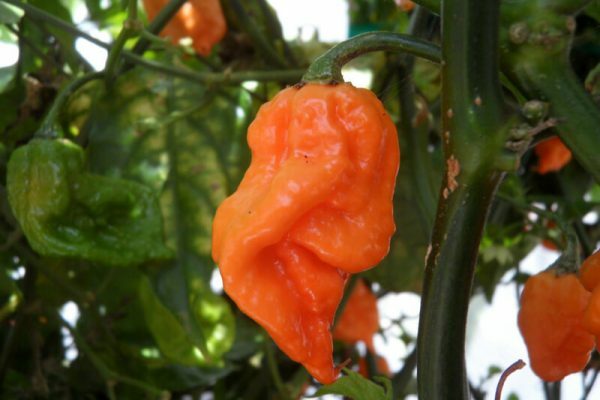 It is also called the BOC for short. 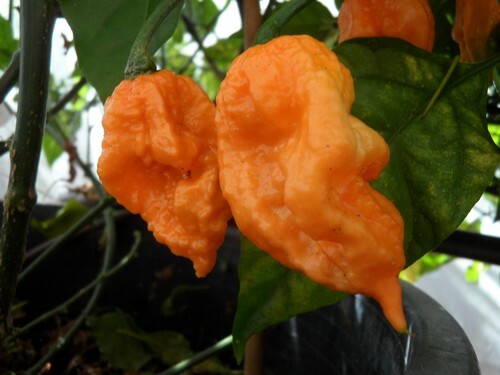 A grower named Soren Friis Larsen discovered orange colored peppers on his plant and grew it out for successive years. 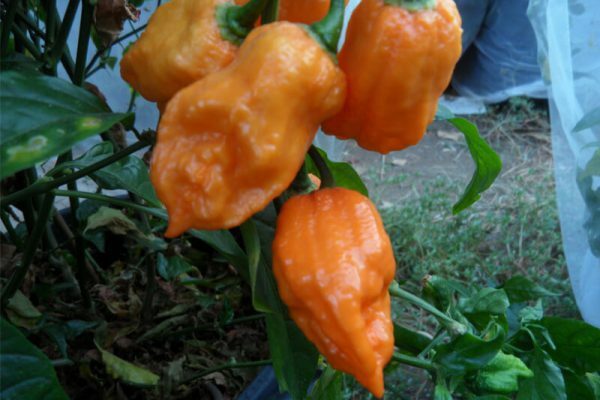 Him and his good friend Bjarne Hojlund then introduced them to other growers. 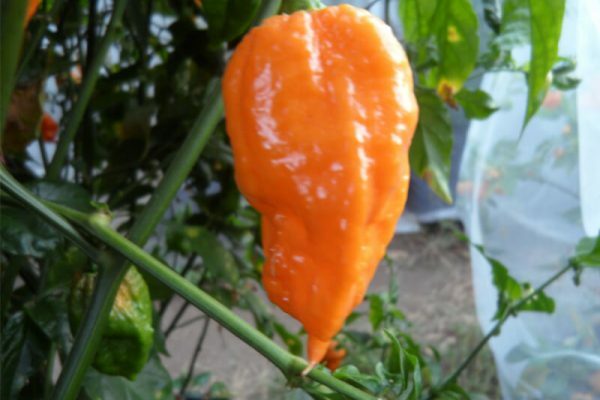 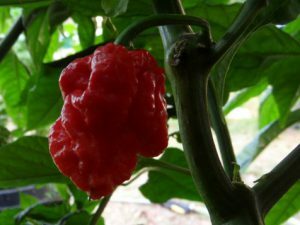 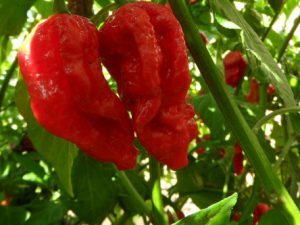 The fruits of the Bhut Orange Copenhagen are usually shorter than average Bhut Jolokias. 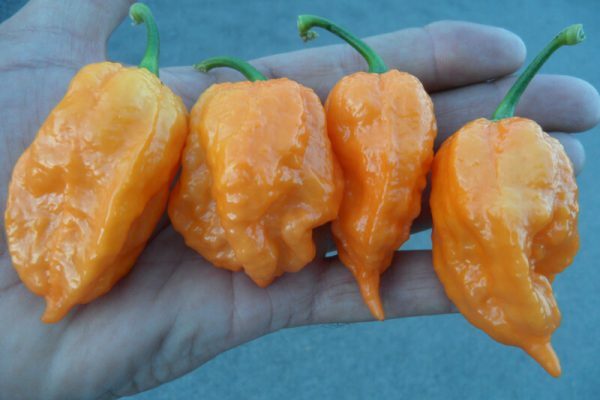 They have a nice bright orange color with nice fruity tones. 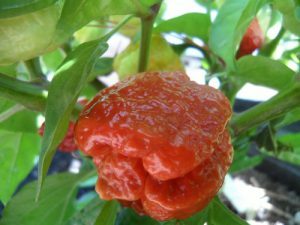 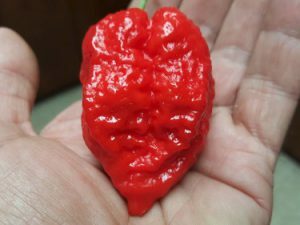 The heat level is much hotter than the Yellow Bhut Jolokia. 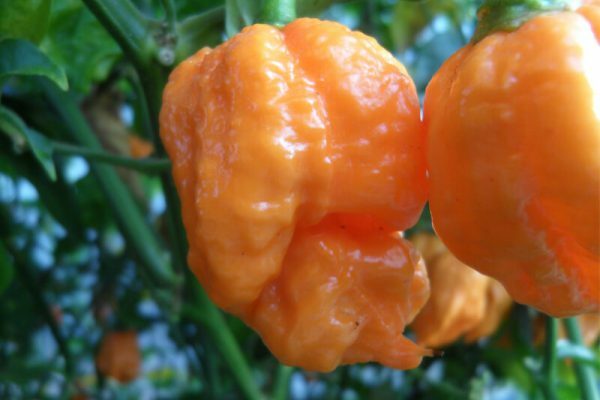 They are very prolific. 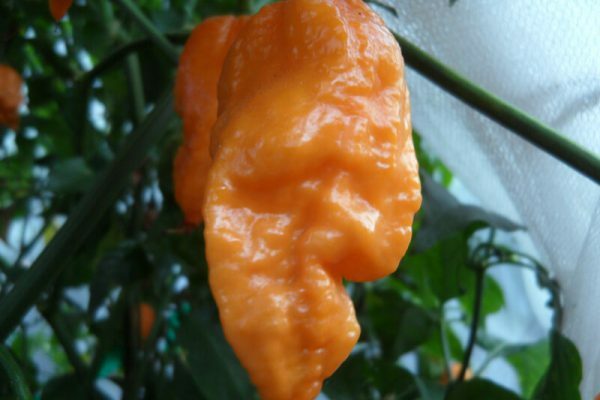 The Bhut Jolokia Orange Copenhagen chile plants can grow up to 4 feet tall.